I am not sure its fake or real, I rather ask you techies rather than assume. Apple is up to taking up every gadget space on your body. First with the iPods and the iPhones, then the iPads and now an iWatch? 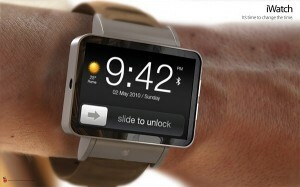 To be worn on the wrist the iWatch is a concept device by Apple. 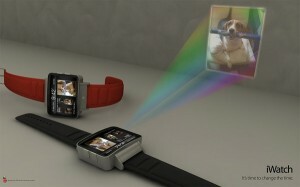 This concept watch features a small screen showing the slide to unlock message found on all the iphone OS devices with other details such as time, date and weather details. Designed by ADR studios based in Italy it has a touch screen view encased in aluminium and is said to carry loads of features. Features such as wireless connectivity and a built-in pico projector. This still is a concept and ADR studios is reportedly trying to sell the idea to Apple. Apple please no more weird stuff which will lead to drama and no matter how geeky one may be, nothing beats a good old wrist watch, a rado preferably! Apple iPod Touch 5G Parts Leaked!